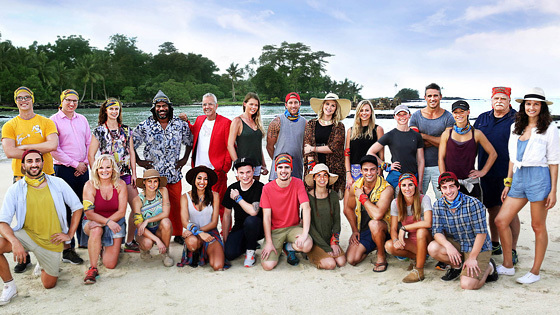 A private investigator, a professional cricketer, a criminal lawyer, a firefighter and a magician are among the 24 contestants who will give up all creature comforts in a bid to win Australian Survivor. Filmed in Samoa, 24 castaways compete over 55 days for a $500,00 prize. Hosted by actor Jonathan LaPaglia. article: "I thought I was going to be criticised for being too much like Jeff!"